rokBrothers Blog: This is "The new iPad"
This is "The new iPad"
With the unveiling of Apple's new iPad yesterday tech geeks and tablet users of all kinds are hype at the prospect of owning what is soon to be the hottest new piece of portable hardware on the market. 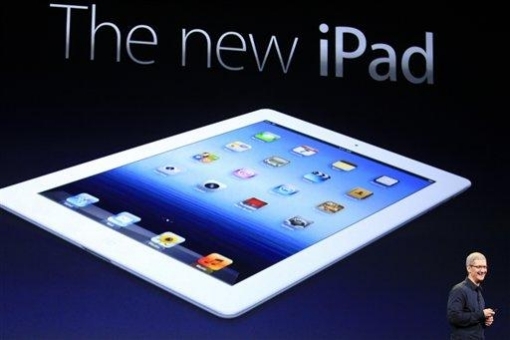 The device, which isn't being named the iPad 3 but simply "The New iPad," will include additional features such as a new Retina Display with 2048 x 1536 resolution and 4G connectivity. The new iPad should perform a lot faster, as it now contans in A5X processor and will also capture clearer images with its iSight 5 megapixel camera. Pre-orders for the tablet have already begun in 10 countries with the in-store date set at March 16th. Prices start at $499 for the 16GB model with Wi-Fi capability only.